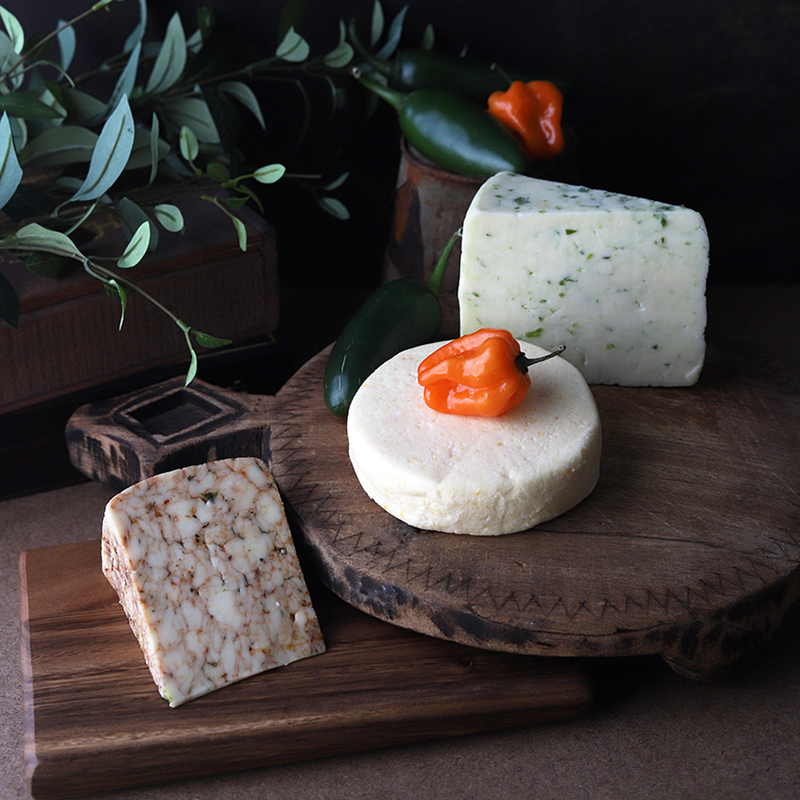 Los Tres Amigos is our newest Cheese Selection made especially for Spice Lovers! 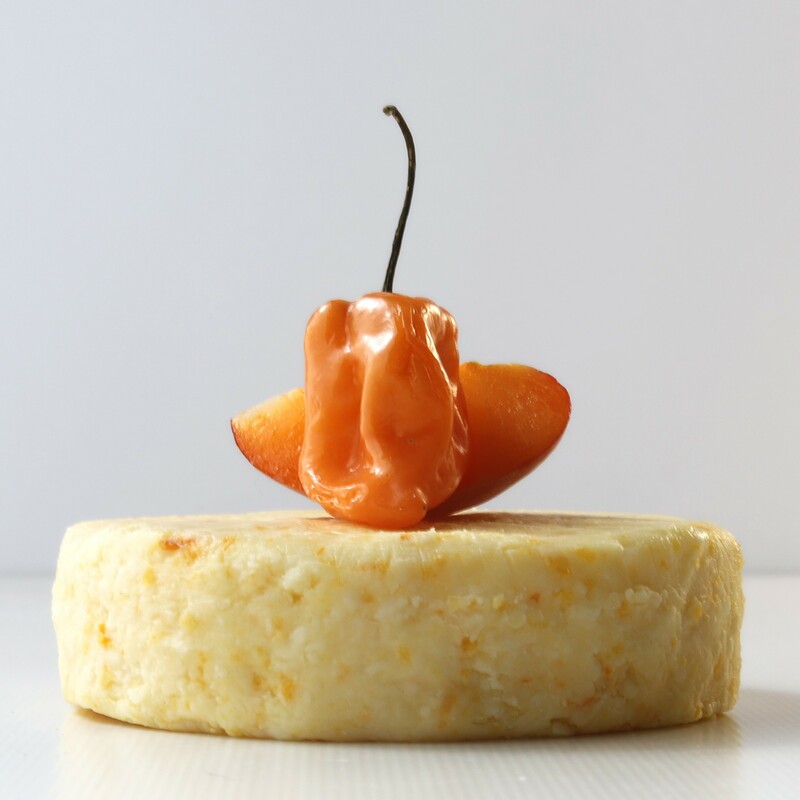 Dolce Habanero - Sweet and Spicy! 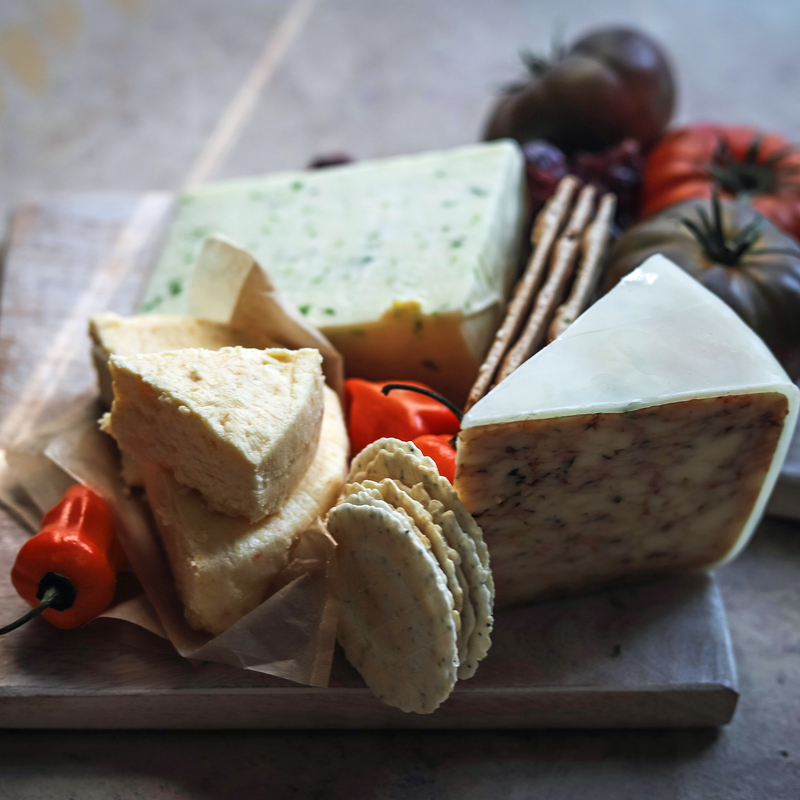 Flavored with Apricots and Fresh Habanero, our Dolce Habanero delivers its unique characteristics perfectly timed to tantalize your palate with every bite. First a creamy sensation, then pleasant sweetness and finally, exciting fire! 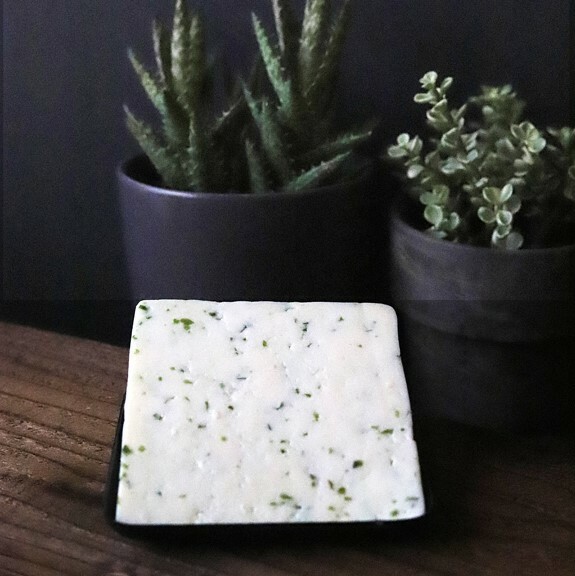 Menonina Jalapeno - A distinctive artisanal cow's milk cheese with a rich buttery flavor that evokes a bold nuttiness with rough chopped jalapenos. 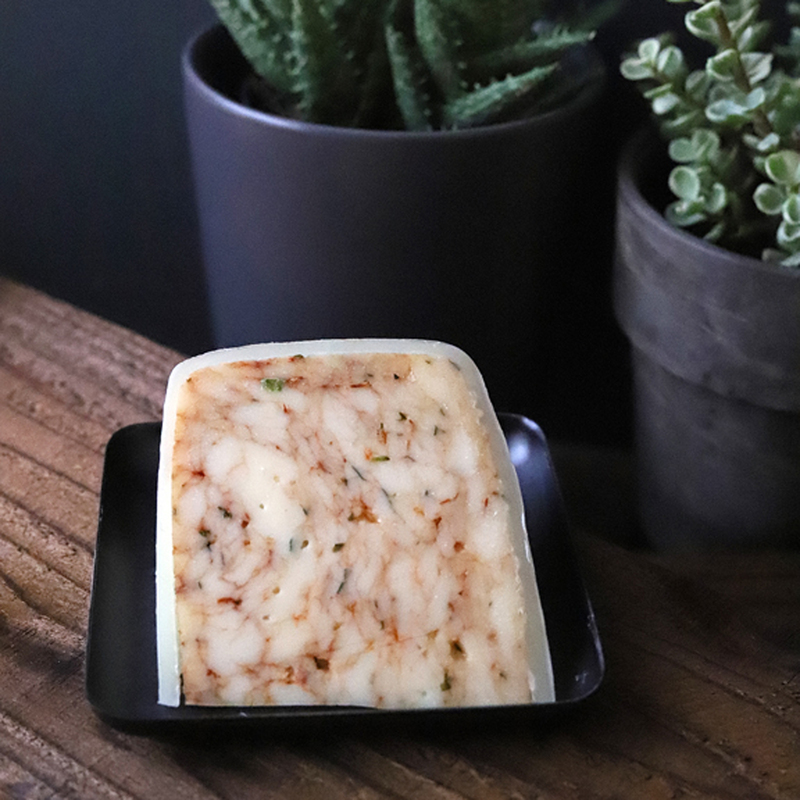 Caciotta La Cocina - Our Texas savory version of "Monterrey Jack" cheese includes Chile de Arbol, Chipolte, Guajillo, Jalapeno and Ancho Chiles. Spicy, Zippy and delicious. 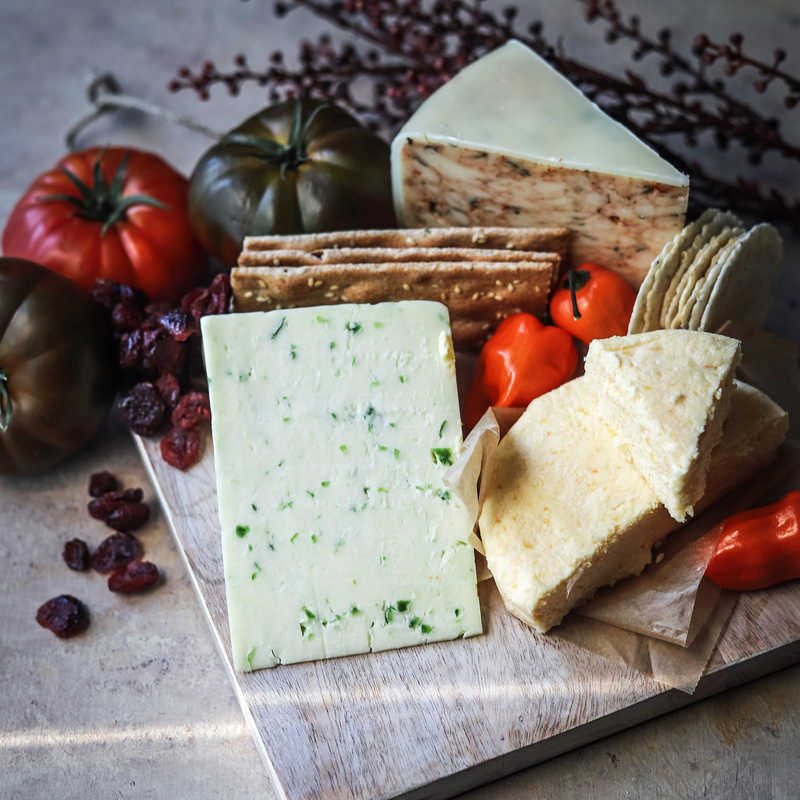 I'm not much for writing reviews, but this group of cheese is fantastic, especially the dolce habanero. Good job Mozzarella Company. 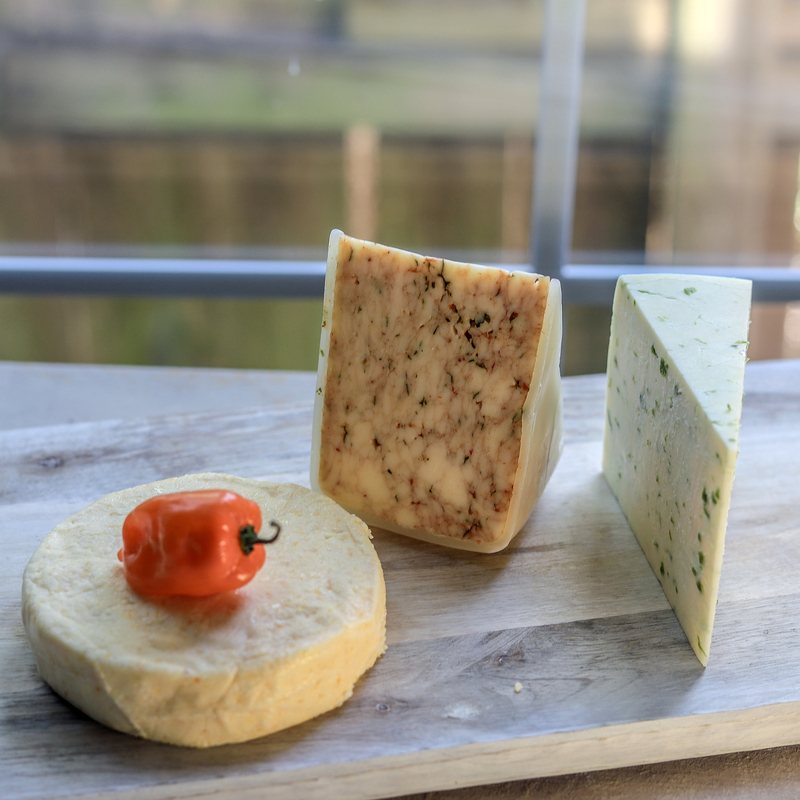 All good cheeses, but the lady was right the Dolce is the spicy one and the other two are mildly spicy. We all enjoyed for our Feliz Navidad and we also LOVE the name Los Tres Amigos!! The Dolce Habanero was fabulous how did you ever come up with such a unique cheese? The other two were great but not as spicy as I thought they would be We loved every morsel. I want six Dolce for my New Years party. Thanks!